INTERVITIS INTERFRUCTA HORTITECHNICA focuses on plant protection / From anti-resistance management to mechanical plant protection. Plant protection plays an increasingly important role in viticulture and agriculture. 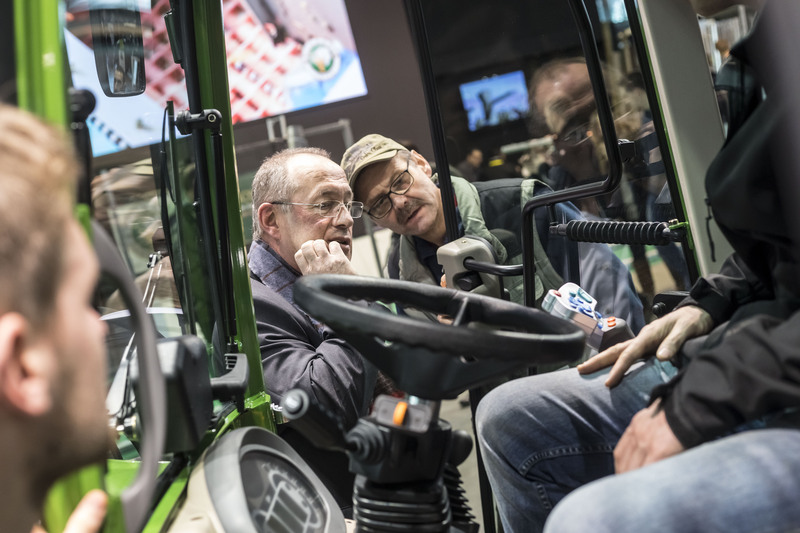 For the first time at INTERVITIS INTERFRUCTA HORTITECHNICA, in addition to exhibitors showing products and solutions on their stands, there will be a pavilion devoted to this subject. All aspects of plant protection are explored – from the availability of plant protection products and mechanical alternatives to the very latest physical methods and plant protection equipment, from nozzles to aspects of grape vine care, anti-resistance management and handling new pests and diseases. The universal focus is on environmentally friendly, low-cost and time-saving plant protection that satisfies the new requirements resulting from climate change and customer demands. And not least, since the debate over glyphosate, there is no doubt that consumers attach increasing importance to environmentally friendly, sustainable plant protection. Which options are available to winegrowers and farmers keen to cultivate the healthiest and highest quality crops possible without compromising the environment? The upcoming INTERVITIS INTERFRUCTA HORTITECHNICA will explore all facets of this issue. Thus, in view of the visible shortage of chemical alternatives to the use of herbicides, mechanical methods like the disc harrow and rotary hoe, new physical methods using electricity or high pressure with water pressures of up to 1000 bar, will be presented and discussed. In terms of plant protection equipment, the focus is on recycling tools and (double) over-the-row machinery aimed at the economical and environmentally friendly use of plant protection agents, time-saving plant protection and their use with drift-reducing nozzles. Various foliage cutters and equipment with plucking, vacuum and compressed air techniques will be presented for optimum vine care to enhance grape health. The information network “Pilzwiderstandsfähige Rebsorten International [Fungus-resistant grape varieties international]” or PIWI International for short, addresses the issue by focusing on cultivation. On their stand in Hall 10 visitors can taste 50 different PIWI varieties and take advantage of in-depth advice.